Terry Glavin: "We will rid the world of the evil-doers," ten years after. "We will rid the world of the evil-doers," ten years after. I'm of the school of thought that the Evil George Boosh should get some points for at least trying. At least I wouldn't throw a shoe at him, and I allow this publicly in the full knowledge that to do so is to unforgivably dissent from a particular narrative that is enforced by a caste of bien-pensant eunuchs for whom writing the guy's name with a dollar sign where the 's' should go is considered both high art and sufficient credentialing to be called a "progressive." The case against intervention: Direct military costs exceeding $900 billion and an Iraq Body Count death toll in combatants and civilians of 162,000 over a decade, an elected government that always seems on the brink of collapse and resentful jihadist crazies making life miserable for everybody even now, 10 years on, even after the Americans have gone home. Car bombs and suicide bombs killed nearly 60 people on Tuesday. The case for intervention: Indirect, grudging and ineffective non-lethal aid to the Syrian rebels, a UN Human Rights Council estimate of 70,000 dead in less than two years, a million refugees, two million “internally displaced” people, the vampire Bashar Assad still rampaging around the place, no end in sight and not so much as a drone in the sky above Damascus. I can't abide that throat-clearing thing that is pretty well a bylaw-requisite prefix to any comment on Shock and Awe and its associated excitements - the way you're meant to precede any remark by making it clear that you were "against" the thing we call the War in Iraq, in order to establish your public-hygiene bona fides. Screw that. It's like no framework for the subject is possible unless it takes the shape of a tennis court. Screw that too. It is (and was) quite possible for reasonable people to have (had) quite dramatically opposing views on the "to go to war or not" question viz. Iraq. It's harder to have such conversations viz. 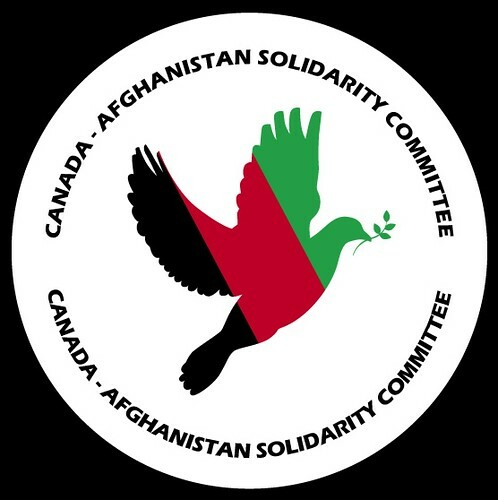 Afghanistan, because the decision was never whether "to go to war or not" in Afghanistan - this was and is the core dishonesty of the so-called "anti-war" position. The question was rather merely whether to participate in the NATO-led and UN-sanctioned military component of an ambitiously idealistic failed-state reconstruction exercise. So as if it matters (like I'm an important voting bloc at the UN or something), all along it's been my view that invading Iraq as the U.S. administration proposed was a bad and lame idea (and was horrific in the incompetence of its execution), but that once the bombs started falling the "to go to war or not" question was over and done with and moot like stink. This is where I found myself parting irrevocably from the mainline Left position, which was also indistinguishable from the bourgeois liberal establishment position, which I'll return to in just a sec. I wante to say first, to be fair to Jean Chretien (I put him in the pillory for a bit in my column) he may have had a point in the "you've already won the war" line of argument he put to George Bush back in 2003. Retroactive clairvoyance is a handy talent to have, but we must still ask out loud: What would have happened had the Yanks chosen to end the corrupt and collapsed Iraq sanctions regime with an effort to increasingly contain and isolate Saddam Hussein within Iraq itself, instead of mounting a hellfire invasion of the country? Hindsight just isn't that good, I'm afraid, because the only honest answer is still: How the hell should I know? From the minute the first bombs fell in the early hours of March 20 in Baghdad it was the first duty of the Left to put its failed anti-war argument aside and put its shoulders to the wheel of building a properly functioning democratic Iraqi state. Indeed, the Euro-American Left had the benefit of Iraqi trade unionists, secularists, democrats, feminists, socialists and liberals by the hundreds of thousands to work with. Instead, with minor but proud and gallant exceptions, the Left reconfigured itself into an "anti-war" movement that was a sinister collaboration with establishment factions of the most grotesque sort, and not just the usual roster of celebrity-elite riffraff. It was anti-war only in name, and its mission was to spend the rest of the decade marching around in cul-de-sacs asserting a moral superiority it had no right to claim and uttering demands ("Stop the War!") it knew could not be met. Throughout it all, the phenomenon we were all supposed to agree to call the "anti-war" movement would continue to fail to answer the first question that would necessarily arise in any honest debate about what to do about Iraq: 'Well, what would YOU do to shift the Baathist filth and the jihadist gargoyles that persist in torturing and persecuting the Iraqi people?' One shouldn't have to be first told that it has been at the feet of that filth and those gargoyles that 90 percent of the Iraqi body count from the last ten years is laid, and to answer the question, one shouldn't require even the beginnings of a fully coherent answer. All that's reasonably required of a grown-up is the capacity to recognize that it was the first and most necessary of questions on the subject, and this is what brings us to the main thing that actually does connect Iraq with 9-11. It's the same toxic politics that will make fetish objects of questions that go nowhere precisely because they're not intended to go anywhere. The entire "anti-war" paradigm of the past decade was set up that way from the start. It wasn't to offer answers to the most important questions of a generation. It was to avoid them altogether. Proper questions: 'How do you propose to catch the terrorists?' 'How do you propose to fight Al Qaida?' Don't ask. And so it has come to pass, ten years on, that it is practically forbidden to recall that "weapons of mass destruction" was a weird term that had almost no life at all prior to or outside the Iraq dilemma, and in any case WMDs were only one of many reasons why overthrowing the Baathist tyranny was broadly held (even by American Democrats and by British and European leftists) to be the only righteous "foreign policy" objective any self-respecting democracy could maintain in the matter of Iraq. But that was before a certain ill-tutored Texan found himself in the big chair in the Oval Office, and most unforgivable and unmentionable of all, it was a radical faction out of the conservative movement that convinced him to actually do something about Iraq. Thus, ten years later, we are left with the central formula of a rigidly-enforced revisionist narrative of the crudest simplicity - "No WMDs = Bu$h/BLiar lied = millions died" - which is itself a lie, and discernibly so even from a great distance. Nowadays we're not even supposed to mention the name of the lie's primary inventor and architect. So I will name him: Scott Ritter. He was the suave but emotionally and intellectually incontinent US Marines ballistics specialist who became a celebrity UN weapons inspector and a Fox News personality before shifting his greasy allegiances to Seymour Hersh and the Code Pink generation. Turns out that Ritter's reported enthusiasm for sexual exhibitionism wasn't a Ziocon calumny against his reputation after all. It's merely a matter of the gross record now that Ritter's serving prison time on six counts, including felony unlawful contact with a minor. Where else are they now? Don't get me started. Okay, just this one because I can't resist: Congressional uberdingbat Dennis Kucinich has been lately spotted moneygrubbing around New Age gatherings with a proposal for some sort of semi-judicial proceedings (with the passive-aggressive "Truth and Reconciliation" in the title) to be brought against certain people - and you know who we're talking about here - specifically, “those responsible for misleading us into annihilating innocent people in Iraq, Afghanistan, Pakistan and elsewhere." Odd how all UFO-spotters tend to turn out to be, yes, batty after all. The legacy of the last decade's "anti-war" politics reaches beyond such now-marginal types as Kucinich, mind you. It is what leaves top-ranking Democrat John Kerry to offer only treacle and mewlings to Syrian rebels who would rather get some actual help to so that their country should be converted back from a human abattoir to an actual country. As Nick Cohen observes: Even David Cameron is keener on taking practical steps to prevent a catastrophe in the Levant than this, and when Syrians can receive a fairer hearing from a shire Tory than an American 'progressive' you should have the wit to realise that a sickness has taken hold. Before we leave John Kerry completely, and since this post was supposed to be at least partly about the legacy of George Bush, I wonder whether you could name without peeking the thing that even John Kerry says George Bush did that has so far saved perhaps five million lives. It's something hardly anyone ever talks about, and when it's mentioned it's almost always reluctantly, and it's hidden in thickets of yesbutteries and yesbutwhatabouteries. It's called PEPFAR, and it's about Bush's main "crusade," which was and is the War against AIDS and the cause of creating an AIDS-free generation, globally. Bush still enjoys high popularity ratings in Africa, where he's widely regarded as one of the continent's great benefactors. (Meanwhile, the Obama administration's proposed PEPFAR cuts have triggered protests around Africa — even in Kenya, where the president's family ties have ensured him plenty of favorable coverage.) "Bush did more to stop AIDS and more to help Africa than any president before or since," says New York Times correspondent Peter Baker, who's writing a history of the Bush-Cheney White House that's due to appear in October. ". . .If it weren't for Iraq, it would be one of the main things history would remember about Bush, and it still should be part of any accounting of his presidency." It's amazing how mere mention of this aspect of the Bush legacy can cause people you might have thought were perfectly sensible adults to wet their pants and stamp their feet. Well, here's a pencil you big crybaby, write the guy's name with a $ instead of an 's' and maybe that will make you feel better. The rest of you: You're welcome. It's amazing how much Bush Derangement Syndrome still affects so many people, people who unironically take a "You're either for us, or a'gin us!" stance on the issue" with no middle ground for discussion whatsoever.